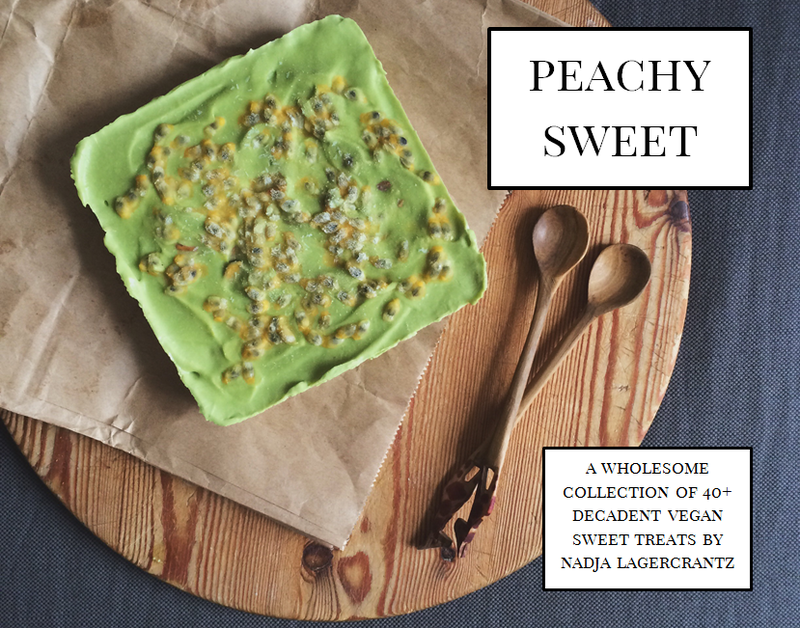 Peachy Sweet is a 100% vegan whole food based cookbook, in whitch you will find my personal favourite dessert recipes. Developed as a result of my love of raw food cakes + my incurable sweet tooth, as well as my joy of sharing my creations on the Instagram app, this gathering of messy pancake stacks, gooey banana breads and healthy candy bar re-creations (including two chapters wholeheartedly dedicated to ice cream + chocolate!!) will be your friendly guide to vegan, GF and raw food baking.